The therapeutic benefits of massage therapy and bodywork have become widely recognized. Documentation on the effects of massage show that it improves circulation, can help heal sports injuries, alleviate stress, headaches and other aches and pains. When practiced in a full continuum of Holistic health care, massage also can be used to treat arthritis, hypertension, diabetes, asthma, bronchitis and neuromuscular diseases, among others. Licensed Massage Therapists from accredited schools of massage therapy have their choice of career paths practicing in spas, resorts, gyms and health clubs, on cruise ships, with athletic programs and professional sports teams, in holistic clinics, wellness centers, many prestigious hospitals, or in private practice. An advanced massage therapy education can also lead to a career in growing specialties like academics, research, sports medicine and stress management programs. New York College is committed to offering quality programs in health, science and the arts. 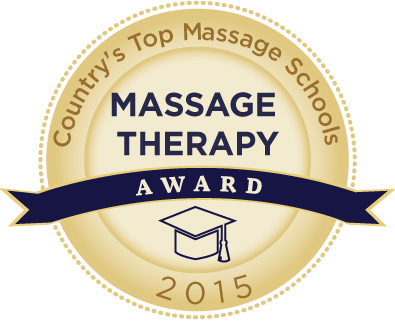 The mission of the Massage Therapy Program has three main components. Education: To provide students with the knowledge and skills to enable them to become expert practitioners in the field of Massage Therapy. To provide the knowledge and skills to enhance the health, wellness and quality of life in the larger community, and to develop educational materials to achieve that same purpose. Service: To provide Massage Therapy clinical services to the community as a complement to the program of professional education offered by the College. Research: To develop and implement with outside parties new product development in Massage Therapy, wellness and quality of life products.